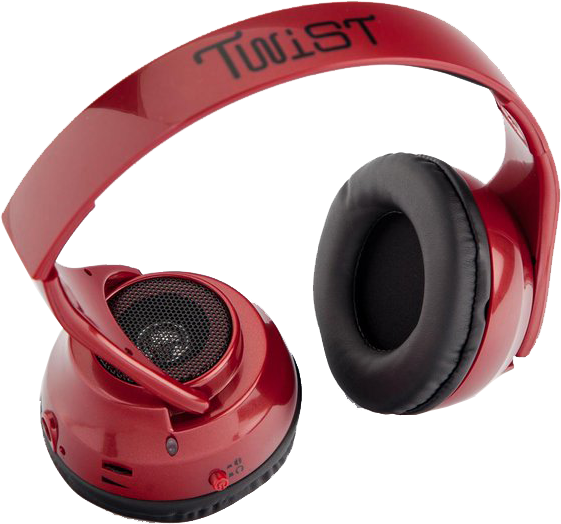 These supercool headphones switch from killer headphones to powerful speakers with just the push of a button! Whether you're alone or with friends, mega sound is right at your fingertips. It even has a mic to make private calls or put someone on speaker. The only thing Twists can't do for you is the dancing!! Works with all smartphones, iPads, laptops, and MP3/4 players. USB charging cord and audio and mic cable included.